The James Logan Wind Symphony played a joint concert with the National Youth Wind Ensemble, under the direction of H. Robert Reynolds, at New York City's world renowned Carnegie Hall. The dates of the trip were May 25-30th, 2006. 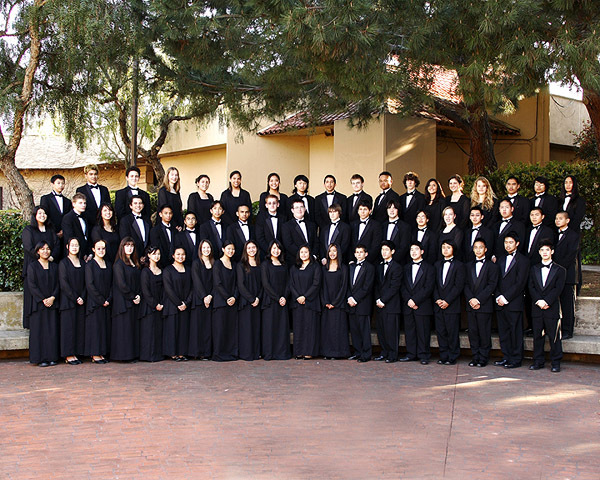 For specific information regarding the Wind Symphony performance, CLICK HERE and scroll to the bottom of the page. 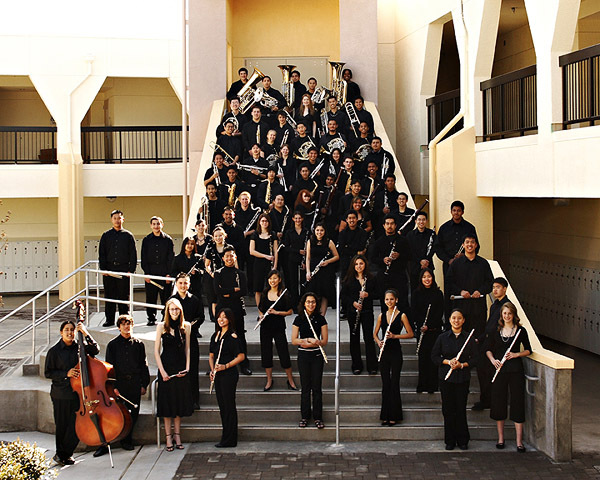 The Director of Bands at Fresno State University, Dr. Sutherland, invited the Logan Wind Symphony to be the guest evening band to perform at their annual Western States Collegiate Wind Band Festival. This is the first time a high school band has ever been invited to this most prestigious west coast college/university event. 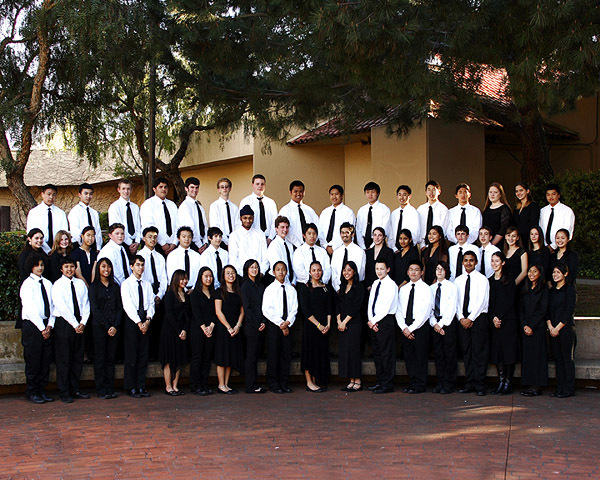 The James Logan Wind Symphony, under the direction of Ramiro Barrera, and the Chabot College Wind Symphony, under the direction of Timothy Harris, performed a joint concert on Wednesday evening, February 22, at the Chabot College Performing Arts Center. Congratulations to both these ensembles for a great concert of fine performances! James Logan Concert Band "A"
James Logan Concert Band "B"
On Tuesday May 17th, 2005, the concert bands of the schools of the New Haven Unified School District performed in the 4th Annual NHUSD Band Spectacular. 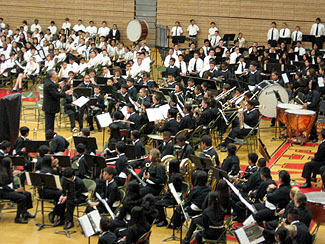 This is when all the school's instrumental music programs combine forces to create one huge concert for our community. This year's concert featured a performance by the combined sixth grade band and, for the first time, a performance of the Logan High School Orchestra. 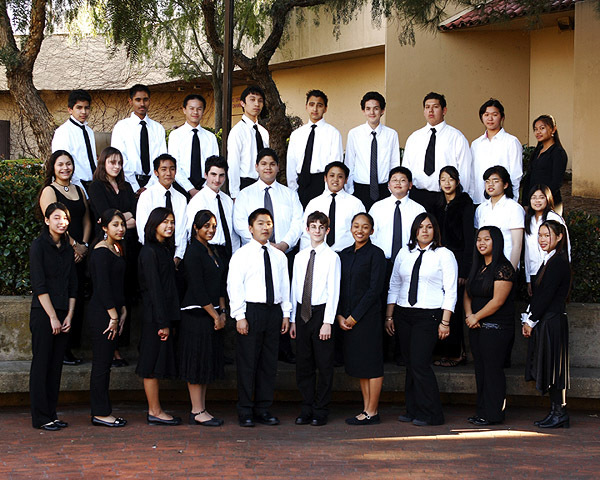 On March 24 through April 1, the Logan Band was in Great Britain, participating in the Edinburgh Easter Festival in Scotland and visiting London, England. The annual Edinburgh Easter Festival attracts a wide variety of groups from around the world. While in Scotland, the marching band participated in the annual Easter Sunday Parade. As well as the festivities on Easter Sunday, the Logan Concert Bands, Jazz Bands and Percussion Ensemble performed in a series of concerts taking place throughout the Easter Holiday. Reports are that all our our groups "performed brilliantly." The trip included lots of sightseeing activities in and around Edinburgh. On the way home, the band stopped in London for a couple of days of relaxation and fun! Congratulations Logan Band and Welcome Home!